The Feng Yun-3B is a three-axis stabilized earth observation and meteorological satellite, carrying 11 observation instruments, capable of global, all-weather, multi-spectral, three-dimensional, quantitative Earth observations. The Feng Yun-3 satellite series is able to make 3D atmospheric detection, which substantially increases the abilities of the satellite in global data acquisition as well as land feature and cloud field observation. The application of FY-3 satellites mainly include four aspects: to provide uniform-resolution of global meteorological parameters for medium-range numerical weather forecast; to allow for research on global change, including the rule of climate change and to provide meteorological and geophysical parameters for climatic forecast; to monitor wide range natural disasters and ecological environment of the Earth; and to provide meteorological information globally for variety of professional activities (such as aviation and navigation, etc. ), as well as to provide to the military weather services of China. The Feng Yun-3 series includes fours satellites: the first two being experimental satellites and the last two being the operational satellites. 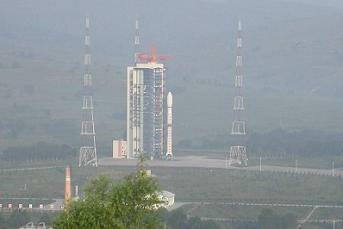 The first experimental satellite (Feng Yun-3A) was launched on May 7, 2008 and the first operational satellite is scheduled for launch in 2012. Comparing with the previous two satellites, there will be some changes and improvement for the sensors onboard last two operational satellites. Instruments aboard the Feng Yun-3B are the Visible and InfraRed Radiometer (VIRR), the Solar Irradance Monitor (SIM), the Solar Backscatter Ultraviolet Sounder (SBUS), the MEdium Resolution Spectral Imager (MERSI), the Earth Radiation Budget Measurement (ERBM), Total Ozone Unit (TOU), the Earth Radiation Measurement (ERM), the InfraRed Atmospheric Sounder (IRAS), the MicroWave Humidity Sounder (MWHS), the Multi-Sensor Synergy (MULSS), the MicroWave Temperature Sounder (MWTS) and the Microwave Radiation Imager (MWRI). Feng Yun-3B will operate in a nominal 836 km altitude orbit with an orbital inclination of 98.75 degrees. The nominal orbit regression cycle is 5.5 days, design range from 4 to 10 days. The Feng Yun-3B satellite is equipped with a solar array the tracks the Sun automatically during its orbit around the planet. The satellite has a three-axis pointing accuracy of less than 0.3 degrees and a three-axis measurement accuracy of less than 0.05 degrees. This was the 135th successful Chinese orbital launch, the 134th launch of a Chang Zheng launch vehicle, the 32nd successful orbital launch from Taiyuan (the third in 2010) and the 13th orbital launch for China in 2010, increasing the record for the total launch in a year. The feasibility study of the CZ-4 Chang Zheng-4 began in 1982, based on the FB-1 Feng Bao-1 launch vehicle. Engineering development was initiated in the following year. Initially, the Chang Zheng-4 served as a back-up launch vehicle for Chang Zheng-3 to launch China’s communications satellites. After the successful launch of China’s first DFH-2 communications satellites by Chang Zheng-3, the main mission of the Chang Zheng-4 was shifted to launch sun-synchronous orbit meteorological satellites. Meanwhile, the CZ-4B Chang Zheng-4B launch vehicle was first introduced in May 1999 and also developed by the Shanghai Academy of Space Flight Technology (SAST), based on the CZ-4 Chang Zheng-4. SAST began to develop the Chang Zheng-4B in February 1989. Originally it was scheduled to be commissioned in 1997, but the first launch didn’t take place until late 1999. The modifications introduce on the CZ-4B Chang Zheng-4B included a larger satellite fairing and the replacement of the original mechanical-electrical control on the Chang Zheng-4 with an electronic control. The center is at a height of 1400-1900m above sea level, and is surrounded by mountains to the east, south and north, with the Yellow River to its west. The annual average temperature is 4-10 degrees C, with maximum of 28 degrees C in summer and minimum of -39 degrees C in winter. Until the end of 2010 China will probably make two more orbital launches. In November is planed the launch of the military communications satellite ZX-20A ZhongXing-20A (ST-1B Shen Tong-1B) via a CZ-3A Chang Zheng-3A launch vehicle from Xi Chang Satellite Launch Center and before the end of December we will see the launch of the BeiDou-2 ‘Compass-I’ global positioning satellite also by a CZ-3A Chang Zheng-3A from Xi Chang.